floChicago is a leadership development program founded by a group of educators, principals, professionals, and civic leaders in partnership with the University of Chicago and the Chicago Community Trust. floChicago will select approximately 30 high school leaders from the Chicago area to participate in 1) a week-long leadership immersion residential program on campus at The University of Chicago from August 6 through August 12, 2017, and 2) meetings and retreats throughout the 2017-2018 school year. Students will have an opportunity to engage with some of Chicago’s most prominent leaders and participate in activities centered around civic engagement, leadership development, college preparation, and career exposure. The program is offered at no cost to participants. 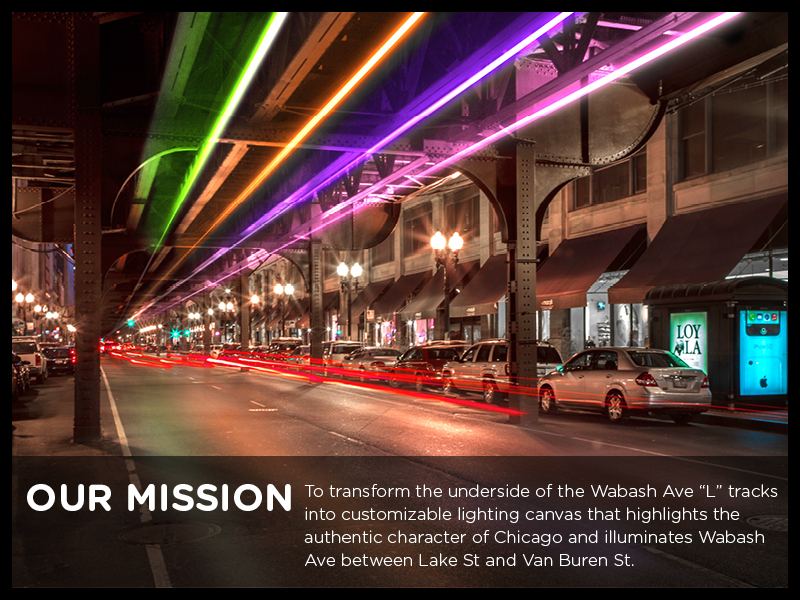 For more information, please visit www.flochicago.org. The Application Page (www.flochicago.org/apply) contains the application as well as additional information about candidate criteria and frequently asked questions. Feel free to contact info@flochicago.org if you have any questions, and feel free to forward this post widely to help spread the word. Mentors for Random Hacks of Kindness Jr. Note for interested mentors: The only requirement is if you are over 16 and haven’t volunteered through the Adler before, you need to undergo a background check before you can mentor. If you are interested, sign up through the mentoring form, or email Josh Deshaies (the STEM Teen Programs Coordinator) directly: Jdeshaies. Please also pass this along to friends and family with 6th-8th grade students. Random Hacks of Kindness Jr. is coming up on February 20th! This event takes the model of Random Hacks of Kindness to help middle school students gain knowledge of their community’s needs. Teams of 6th – 8th graders will come to the Adler and collaborate with charities and web developers to design tools that address a variety of these needs. Students will work in teams including STEM Mentors, mentors from CoderDojoChi, and charity representatives to develop a prototype computer application that addresses a proposed challenge. We are currently recruiting for student participants and mentors! See below for more information. We are currently looking for middle school students (ages 11-14) to serve on the design teams. Students can register as an individual or sign up as part of a team. Interested students can sign-up online via the following link: youthprograms with their full name, the number of people in their party, and their email. REGISTER TO ATTEND THE LAUNCH PARTY! All participants are welcome to attend the Showcase unless otherwise notified. However, only finalists, semi-finalists and additional winners are able to exhibit at the Showcase. 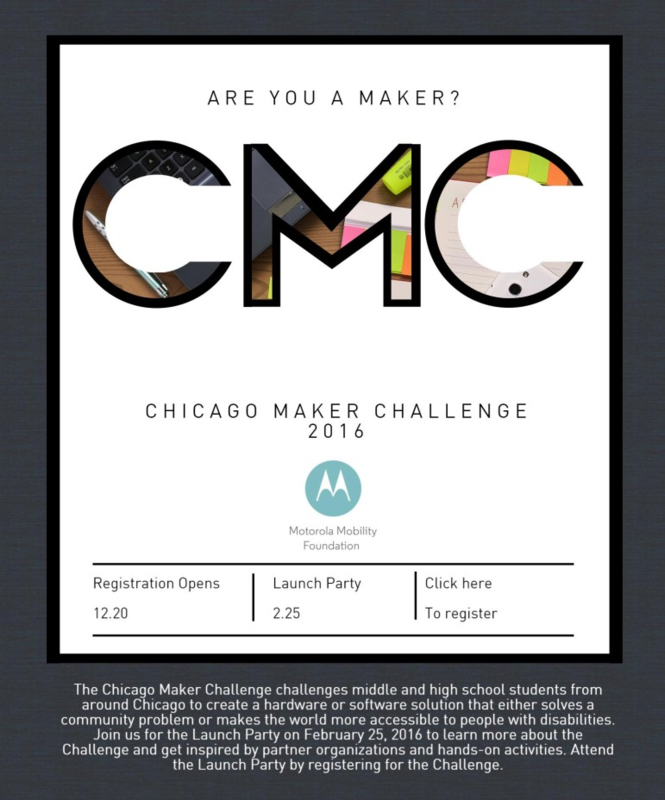 May 26, 2016: Chicago Maker Challenge Showcase at Motorola Mobility from 3:30 – 7:00 p.m. Starting with City Colleges’ Fall 2015 semester, students who graduate from CPS in Spring 2015 or after with a 3.0 GPA who test completion-ready in math and English will be able to pursue an associate degree at City Colleges of Chicago at no cost – free tuition, fees, and books. In order to receive the Star Scholarship, students must apply for financial aid so that any financial aid dollars can be applied first as part of the waiver. The Free Application for Federal Student Aid (FAFSA) can be found here. Undocumented students should fill out this form​​​ instead.